Our comprehensive RLSS National Pool Lifeguard Course is suitable for people wanting to work in the leisure environment be it a small leisure club or larger free form leisure pool. This qualification equips candidates with the essential skills required to safeguard lives. When attending our RLSS National Pool Lifeguard Course (NPLQ) you can expect high quality training materials, expert instructors, lots of hands on practical work and an enjoyable atmosphere to learn in. We provided generous levels of training and equipment to ensure you have a safe and enjoyable course experience. 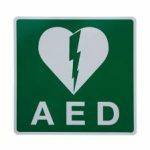 All of our lifeguard courses include training in the use of the Aquaboard and Automated External Defibrillator (AED). The NPLQ course is practical assessment on pool lifeguard theory, pool rescue, first aid and CPR. Be 16 years of age by date of assessment. Be able to jump / dive into deep water. On successful completion of the course you will be fully qualified to work as a Pool Lifeguard.